Doris Day is one of the most popular female singers of the twentieth century and her roster of hit records is legendary. On this CD we feature her performing songs composed by one of the best songwriters of the twentieth century, Richard Rodgers. Rodgers had two notable lyricists to add sparkle to his compositions, Lorentz Hart and Oscar Hammerstein II. Twelve of the songs on this CD feature his association with Lorenz Hart and the remaining eleven with Hammerstein. 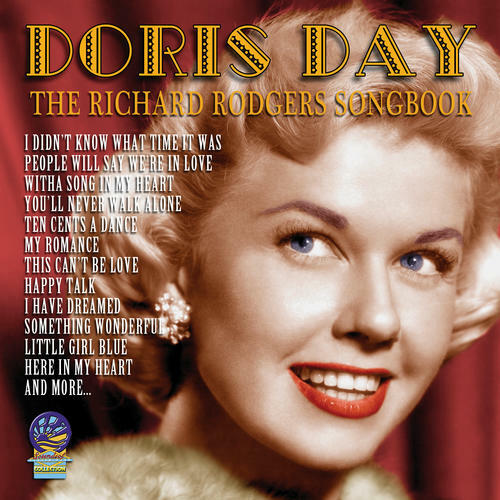 Doris always performed with the finest orchestras and on this CD there is no exception, with the likes of The Percy Faith Orchestra, Harry James, Axel Stordahl, Neal Hefti, George Stoll and more. Doris Day’s interpretation of these Richard Rodgers standards confirms the greatness of her talent. What’s The Use Of Wondrin’?